Leave it to the Professional! 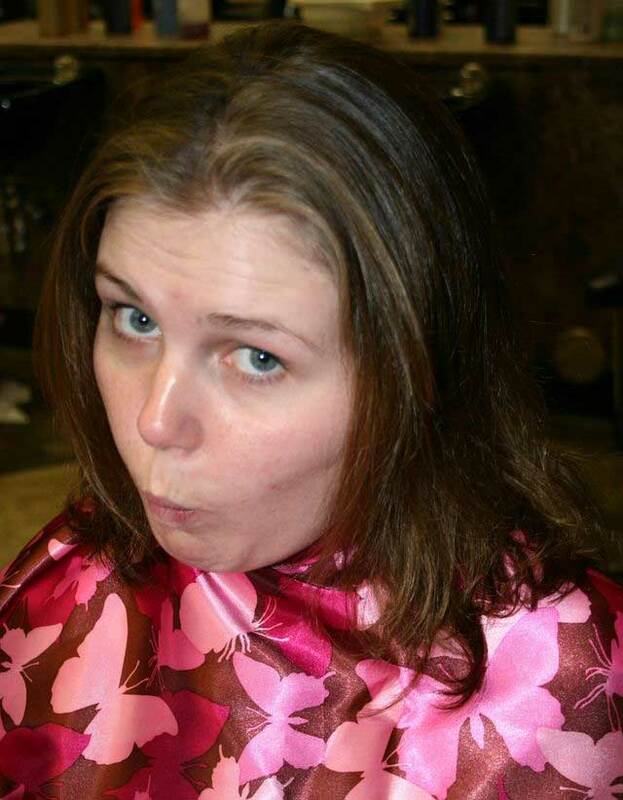 Hair Color Makeover – There comes a time in every girl’s life when we look in the mirror and just can’t stand the color of that hair glaring back. Whether you’ve been going natural or staying with the same color or highlights for some time, you just know that the time has come for a color makeover. Making the decision to change your look can be stressful. How do you pick the right color? What if you hate it when it’s all said and done? The next time you walk into your salon for a new look, I want you to go prepared! It’s important to be committed, when completely changing your look. It can be quite drastic to look in the mirror the first time with something new. Committing to a new look requires that you take some time to find out what you like and what you don’t like! The best advice I can give to figure out what you like in a hair color is to start flipping through magazines. Pick out advertisements or celebrity photos that feature hair colors that you like and take them with you to your stylist. More important than knowing what you like is to understand what you don’t like. If platinum blond highlights make you want to shave your head or if red hair makes you see red, then its important that you let your stylist know! Next, it’s important to tell your stylist about yourself. Let her know how you like to wear your hair, how much time you spend on your hair, what kind of work you do, and what kind of maintenance you’re willing commit to. The way she decides to apply your color and the colors she ultimately mixes will vary based on these factors. My model, Jaylene, let me know that she spends approximately 15-30 minutes on her hair in the morning. She likes to round brush it and she tries to get a lot of volume through the crown of her head when she styles her hair. She was not opposed to any colors, but didn’t want to have to come in every month for a retouch. As a professional, Jaylene wished to have something that looked nice, but as a young woman preferred to have something with a little flair! 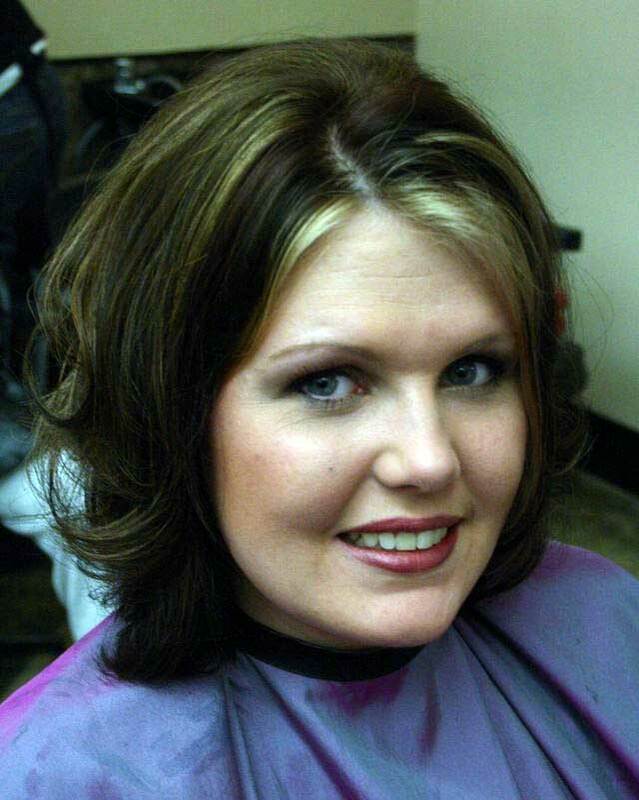 With that knowledge, I was able to make recommendations for a great color and hair cut to compliment. Doing your part to communicate with your stylist about the look you desire, the things you like, dislike, and how you would like to wear your hair should give her the tools she’ll need to give you a fabulous color makeover that you will love! For Jaylene’s color I selected three colors: a medium warm brown, dark chocolate brown, and a deep red. 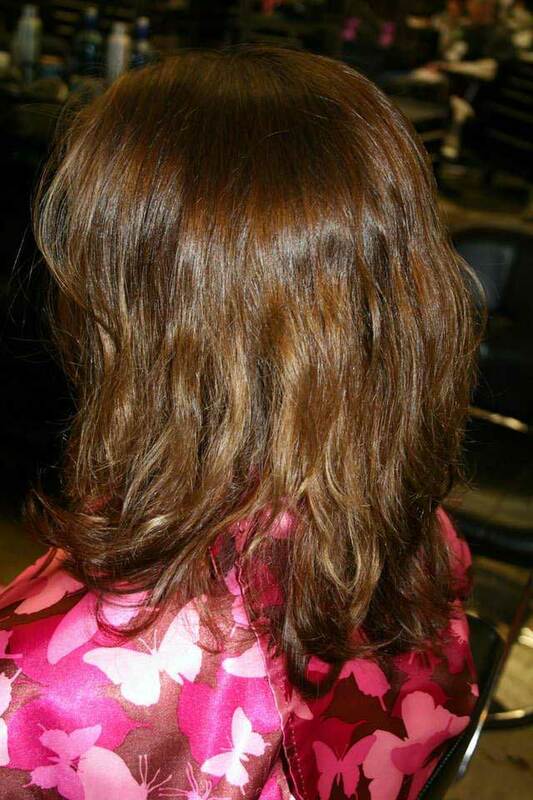 I set her color off with warm carmel highlights through the crown of her head to brighten her hair and give her hair the appearance of thickness and texture that would allow her to achieve the volume she discussed during our consultation. To give her color just a little flair, I placed a couple dramatic, brighter highlights through the fringe (bang) area. I also cut her hair in a way that would compliment the color and give her the added volume she desired. She has reported back that she is able to spend less time getting ready in the morning and receives compliments from people at the office as well as her family and friends! Now that you’re set with a brand new hair color makeover, don’t forget to ask your stylist about taking care of your investment. 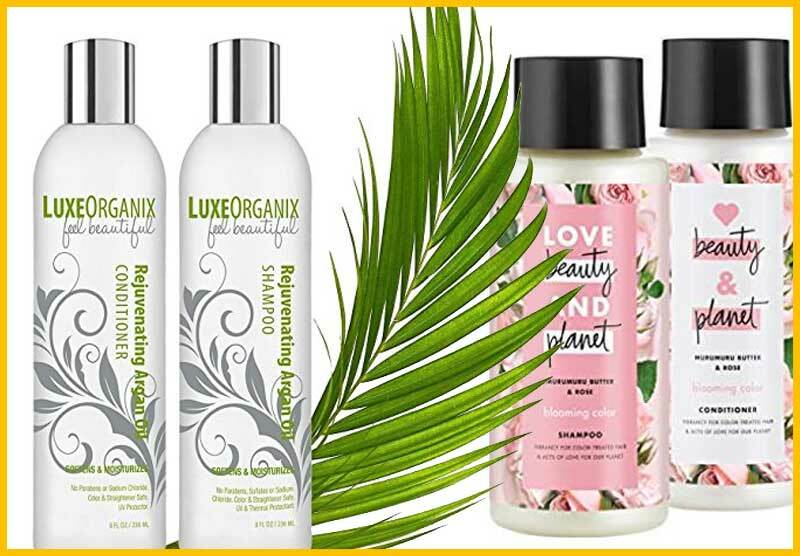 Ask her about products that she recommends to extend the life and brightness of your color. If you decided to get a new haircut to go with your color, you may need to purchase new styling aids that will help you achieve your style. Don’t forget to ask for advice about new makeup colors that will compliment your new look. 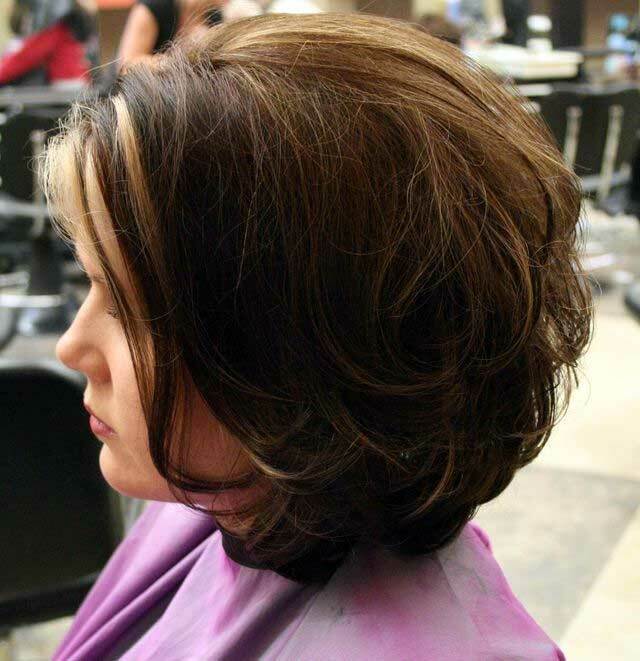 Hair Color Makeover: Jaylene’s new cut and color give her added volume and dimension.